my parents started calling me Jessi(e) (over Jessica) at an early age because it rhymed so well with messy: Messy Jessi(e). i, for one, would be the last person to argue with this very deserved nickname. i have been making a mess since 1984, the year i entered this world. there are some people who i’ve known all my life who still spell my name with an ‘e,’ despite my small protests. 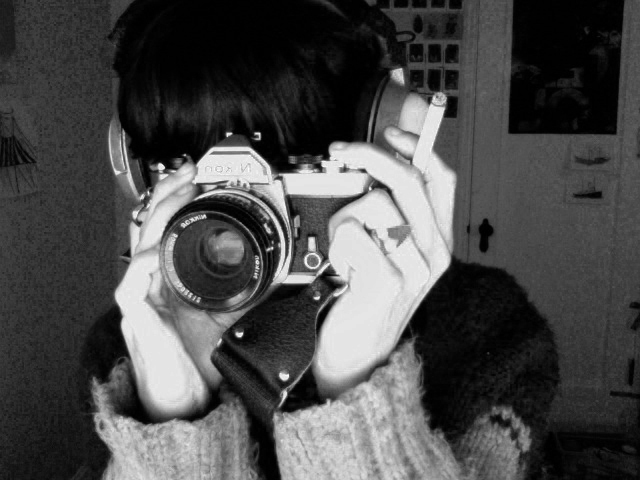 as you can see, i like manual cameras, big sweaters, headphones, and cigarettes. i like a lot more than that, actually. you’ll just have to follow along in order to found out everything. i was born in Germany, reared in Seattle, schooled in New York City, and now i live in Oakland with a cat i rescued and named Alaska. Thanks for your help finding pens the other morning. I’d forgotten about Le Pen, forgotten how much I liked them. Thanks for the Darger mention—I always like to see things I haven’t seen before. And now I even know your name.